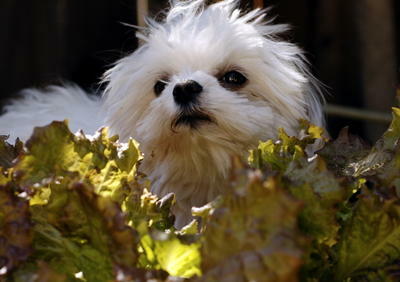 Bean Sprout Adrift on a Sea of Patio Lettuce. That dog is just too clean and fluffy. Don't you ever let him have any fun? OMG, you'd think by now I would be beyond having to do the word verithingie.